The significant growth in the global automotive industry, along with government mandates for increased vehicular safety drives the growth of the Automatic Emergency Braking market. The increase in consumer purchasing power owing to growing disposable incomes and improving living standards has increased the demand for luxury passenger vehicles worldwide, thereby increasing the adoption of automatic emergency braking systems. Several safety regulations have been introduced by governments to improve road safety and reduce road accidents, thereby increasing the implementation of AEB systems. The implementation of advanced technologies for automatic emergency braking, and increasing modernization of vehicles has accelerated the adoption of AEB systems. The increasing development of autonomous and semi-autonomous vehicles, rising consumer awareness regarding safety, and NCAP regulatory scenario further accelerate the adoption of AEB systems. However, high costs associated with AEB systems hamper the market growth. The technological advancements, stringent regulatory framework regarding vehicular and road safety, and rising demand from emerging economies would provide numerous growth opportunities during the forecast period. The global automatic emergency braking market is segmented on the basis of type, vehicle type, technology, and geography. Based on the type, the market is segmented high speed AEB systems, low speed AEB systems, and pedestrian AEB systems. In 2017, low-speed AEB systems accounted for the highest market share in the global Automatic Emergency Braking market. The increasing concerns regarding vehicular safety and road safety, along with government mandates to be followed for improved safety supports the growth of this segment. The vehicle types in the global Automatic Emergency Braking market include passenger cars, commercial vehicles. Passenger cars dominated the global Automatic Emergency Braking market in 2017 owing to increasing demand for passenger cars from emerging economies, and technological advancements. Rising disposable income, changing lifestyles, and increasing advancements and modernization of vehicles would support the growth of AEB market in this segment. The technology segment is divided into dynamic brake support, crash imminent braking, forward collision warning, and others. In 2017, the forward collision warning accounted for the highest share in the global Automatic Emergency Braking market owing to increased safety concerns, and stringent government regulations. 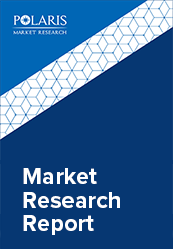 The automatic emergency braking market report comprises a detailed geographic distribution of the market across North America, Europe, Asia-Pacific, Latin America, and MEA. North America is further segmented into U.S., Canada, and Mexico. Europe is divided into Germany, UK, Italy, France, and Rest of Europe. Asia-Pacific is bifurcated into China, India, Japan, and Rest of Asia-Pacific. North America accounted for the largest share in the global Automatic Emergency Braking market in 2017. The rising demand for luxury automobiles, and modernization of vehicles increases the adoption of automatic emergency braking in the region. The high disposable income, and living standards have increased the demand for passenger cars in the region. The introduction of stringent government regulations regarding vehicular safety, and technological advancements are factors expected to provide growth opportunities in the region during the forecast period. The vendors in the market are launching new products to meet the growing customer needs. In addition, the leaders in the market are acquiring and collaborating with top companies in the market to enhance their offerings in the market and expand their customer base. The automatic emergency braking market is highly competitive with the presence of a large number of small and large vendors. The leading players in the market include ZF Friedrichshafen AG, Daimler AG, Continental AG, Delphi Automotive PLC, Robert Bosch GmbH, Honda Motor Co., Ltd., Tesla Motors, Inc., Denso Corporation, Aisin Seiki Co., Ltd., Knorr-Bremse AG, and Mando Corporation among others.